TOKYO -- Toyota Motor Corp. may next week recall up to 270,000 vehicles worldwide to fix an engine glitch. Toyota said it would file the recall in Japan on Monday, covering 90,000 high-end sedans. An official at Japan's transport ministry said he had been informed that Toyota was also planning a recall in North America and Europe. The Japan recall affects seven Lexus models and the Toyota Crown, a top-end sedan not sold in the United States, spokesman Paul Nolasco said. The Lexus models are the GS 350, GS 450h, GS 460, IS 350, LS 460, LS 600h and the LS 600h L.
Toyota has said that faulty valve springs in some V8 and V6 engines could trigger abnormal engine noise or idling. In rare cases, they could cause the engine to stop while it is operating. The problem was caused by contamination during the manufacturing process. Toyota has not said what model years will be recalled in Japan. But current model years are not affected. The company has not stopped production of the vehicles, which are all made in Japan. Toyota has received about 200 complaints about the engine problem in Japan, Nolasco said. There have been no reports of accidents, he added. Fixing the faulty valve springs could cost Toyota 20 billion yen ($227.6 million), Japan’s Asahi newspaper reported. Toyota declined to confirm the reported cost estimate for the recall, which would amount to a relatively steep 74,000 yen ($844) a vehicle. 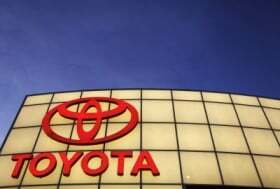 The U.S. National Highway Traffic Safety Administration had not received any communication from Toyota regarding the issue by Thursday, a Department of Transportation spokeswoman said. The recall is the latest headache for Toyota, which has called back 9.4 million vehicles since late last year for a string of different problems – but chiefly to address instances of unintended acceleration. Toyota’s image and sales have suffered in the wake of the quality crisis. The recall would be the second for the luxury Lexus brand since last Friday, when Toyota told U.S. and Canadian safety regulators it was halting sales and recalling about 17,000 Lexus HS 250h hybrid sedans due to a potential fuel leak. Toyota acted following a U.S. government crash test that showed fuel leaking after an HS 250h was struck from the rear by a car traveling about 50 miles per hour (80 kph). Toyota's own crash test did not show the fuel leak problem. The automaker told dealers it had not received any reports of injuries or accidents linked to the problem with the HS 250h.